Teaching Agent Classes. How to Get Maximum Agents in Minimum Time. 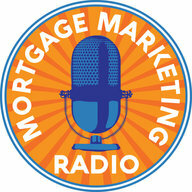 Our special guest for Mortgage Marketing Radio this week is Loan Officer Jeff Kadlec with Finance of America in Scottsdale, AZ. Jeff is a seasoned mortgage banker in Phoenix Arizona that enjoys consulting with REALTORS® on how to leverage video marketing on a low budget and close 50% more deals every month doing what they love. For more than 25 years, he has exemplified exceptional management and leadership within the mortgage and banking industries. Jeff has worn many hats in his career- Originator, REALTOR®, Branch Manager, Vice President, Private Lender, Entrepreneur and Real Estate Investor. Jeff is a member of Powerful Presentations Master Class. 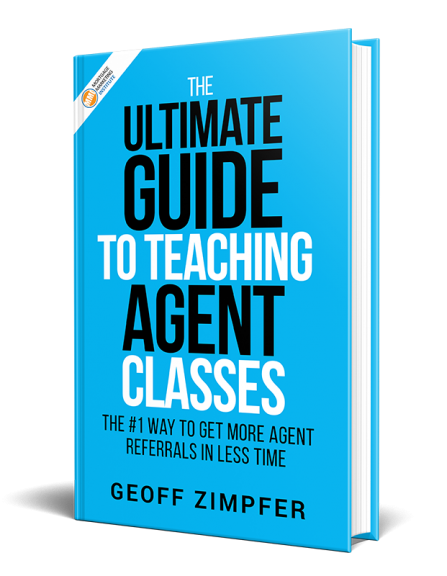 You’ll hear how Jeff is leveraging the done4u Agent classes included in Powerful Presentations to quickly and easily attract and convert agents to referral partners. 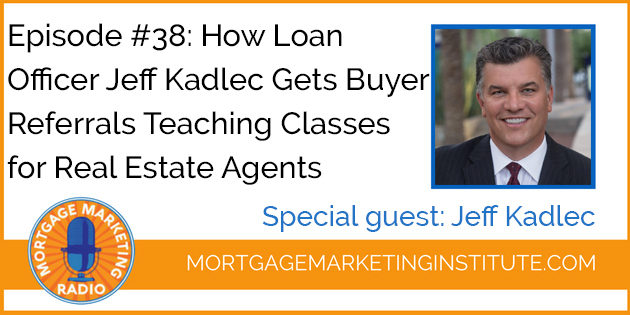 Listen to this weeks episode and hear how Jeff is no longer chasing agents because agents are now attending his classes which puts him in control. He chooses which agents he considers as part of his team. He knows exactly where his next purchase referrals are coming from because he has an active and growing base of productive agents.